Traditional indigenous – adapted to suit my target audiences. Ochre / Ochre colours and sticks – lots of sticks. Uncle Reg Knox, Albert Namatjira and Clifford Possum Tjapaltjarri. My Uncle Reg Knox – he has an award from the Queen, a painting in the Vatican, and most importantly the tuckshop walls of half of the schools I have been in. My table – with current work on Tiddalik the Frog (Pearson Publishing – Bug Club Series); traditional art with contemporary colours; and my just in the mail advance copy of my latest book Mad Magpie (Magabala Books). Getting the advance copy of a new book in the mail. Consider what makes your artwork recognised as ‘yours’. 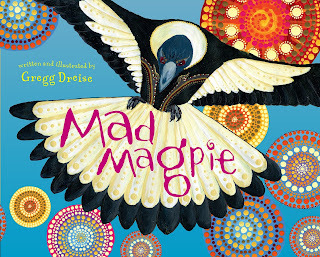 Gregg Dreise is an Indigenous Australian author and illustrator. 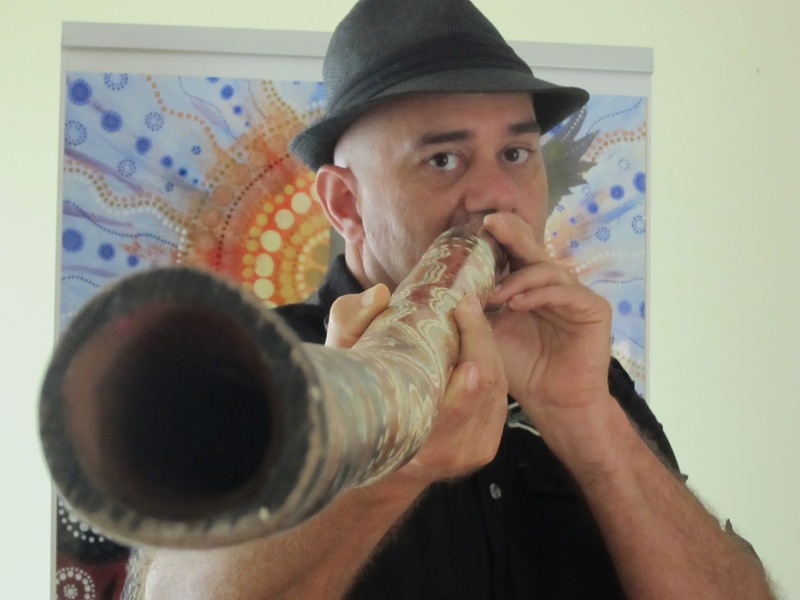 His books for children include Silly Birds and Kookoo Kookaburra. His latest picture book is Mad Magpie, published by Magabala Books. Good to see Gregg featured here. 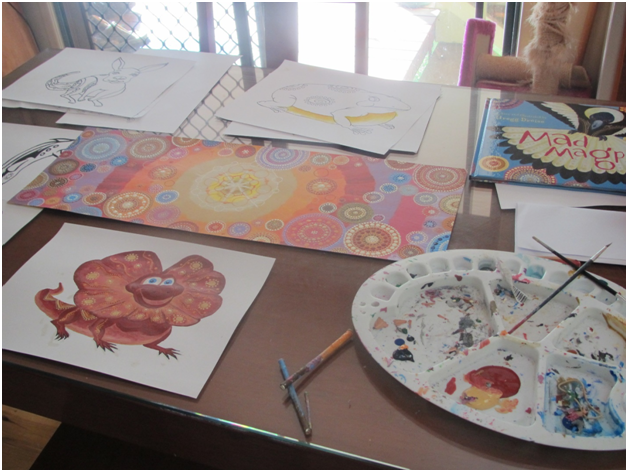 He certainly follows his own advice: his artistic style is instantly recognisable. Can't wait to see more of it.